Free shipping to the lower 48 United States for these Duramax storage buildings. Low price guarantee! 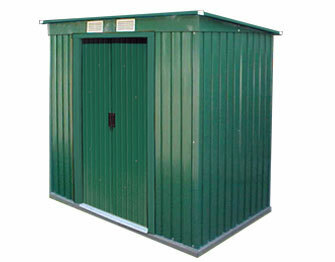 If you find these metal storage sheds for sale cheaper online, let us now. We will beat their delivered cost (cost of the product and any delivery charges) by $20! 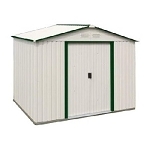 Duramax garages and metal storage buildings are great for home backyard storage needs. 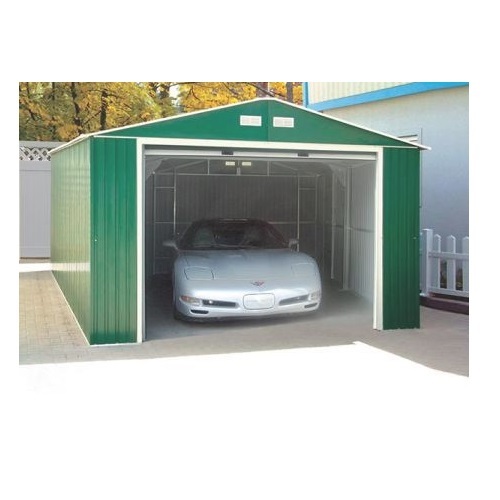 The garage sheds are large enough to store many different kinds of vehicles. 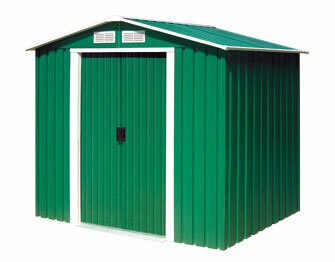 Metal sheds are very sturdy and easily assembled. Order your Duramax sheds here. Duramax 12 Foot Metal Garages at low prices and volume discounts. Shipping Discounts on 2 or more items. Large orders ship free at Competitive Edge Products. At either 6’x4’ or 8’x4’ it’s spacious enough to store most garden tools, and has large double-entry doors for the bigger items. The Pent Roof Shed features a 8' wide format that’s ideal for any outdoor application. Simple assembly done by owner. Available in 6’x4’, 6’x6’ and 6’x8’ models, Riverton gives you 114 to 241 cubic feet of storage space can withstand high winds and snow. Fire retardant and tested to withstand high wind loads as well over 1,000 pounds of snow. Perfect size for most homes. Steel sheds have a special crisp look. We carry the Duramax Imperial, Pent Roof, and other metal storage units to store cars, ATV's, Riding Mowers, Lawn Mowers, Snow Blowers, and more. 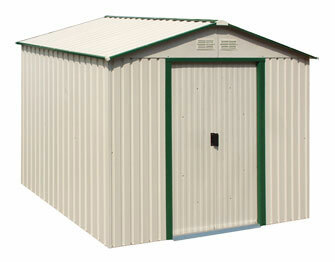 Clean up your yard, free up space in your garage or home, and stay organized with a metal storage building. The Imperial shed has a roll-up garage door allowing for storage of vehicles with a side door for quick entry and exit. The pent roof has a sloped roof with skylights and generally comes in 6'x4' or 8'x4'. The Riverton and Titan are still in design stage. Assembly is relatively fast and most sheds can be knocked out on a Saturday or weekend. The green metal is our best seller. A foundation kit is available on some models and on others you use the ground (preferably a cement slab) to place the shed kit on top. Technical assembly support is available free of charge and is US-based.